“Thank you! 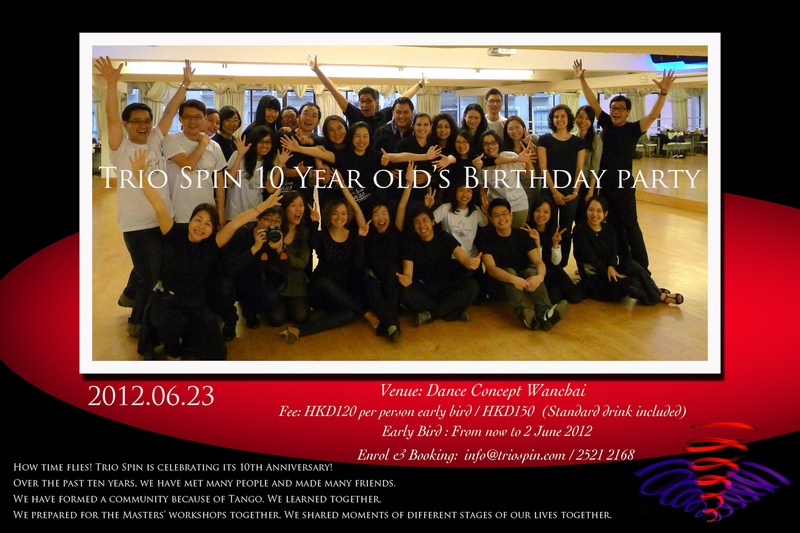 ” – the simple but sincere expression that we want to say to those who participated in the Trio Spin 10th Anniversary Milonga on 23 June 2012. It was great seeing our friends, students and their loved ones enjoying themselves in the music and dances. Special thanks to our helpers for planning the logistics, setting up the venue, preparing the video show, arranging refreshments and receiving our guests. We look forward to sharing more happy moments with you. Please click here to see the photos on that night.